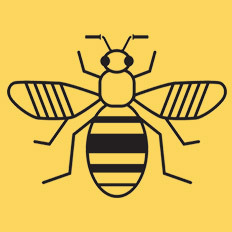 The Trafford Beelines Workshop is confirmed for 6-8pm on Wednesday 22nd August at Trafford Town Hall, Thomas de Trafford Room B. The agenda with links to the (updated) guide and maps is available below or via this link. Please try to look at the above before the workshop, and it’ll be helpful if you’re able to download the PDFs to a device you can bring with you (to zoom in and see extra detail etc). For your information: GMCC‘s workshop on the 29th will consider city-centre Beelines.